Looking at the fortunes of Italian cities in the 16th century, the philosopher and economist Antonio Serra drew a comparison between the wealth of Venice, booming due to trade and manufacturing, and the poverty of Naples, which had based its economy on the mining of metals. 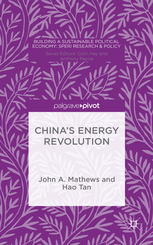 It might seem an unusual point to find in a monograph about China’s electric power system, but the contrast, for the scholars John Mathews and Hao Tan, is an important one. China, they write, is “liberating itself” from the extractive economy around fossil fuels, with all its hostile “geopolitical entanglements” and negative local and global environmental impacts. Instead, it is becoming the “world’s first case of a country breaking free of carbon lock-in by building its own renewable energy industries”. This process, they argue, is “primarily motivated by concerns over its immediate pollution, as well as issues of energy security and industrial development in the medium and longer run”. Reductions in the carbon emissions that cause climate change are not the end point. Rather, they are a “highly convenient side-effect” of this grand political-economic transition. 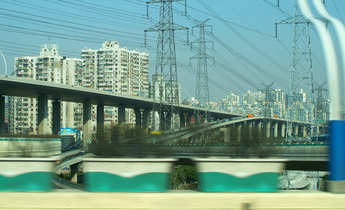 Just as Germany and the UK dominated coal-based technologies in the 19th century, and the US became world-leader in oil-based technologies in the 20th century, Mathews and Tan see China emerging as world leader in the products and technologies around electric power from renewable sources like solar and wind. The country is poised to create “ a new energy paradigm with epochal implications”, they argue. These far-reaching conclusions are not conjecture: the authors base their conclusions on recent data about China’s electricity generation, investment, patents and more. Of particular value is the authors’ grounding in the theory of innovation and industrial dynamics. Mathews and Tan explain convincingly, for example, how the likely transition pathway from “black” (fossil) industries to green – as entrepreneurs commit to a new industries, and others seek to follow them – could become “self-reinforcing, self-sustaining and irreversible”. They explain how China’s scale of production has exploited the cost reductions, for solar panels and wind turbines for example, that come with accumulated experience, helping China to generate a quarter of its electricity from non-thermal sources. 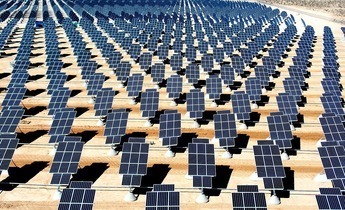 Recent data show drastic growth in solar power generation. Interestingly, the authors also argue, based on this data, that since wind and solar generated electricity already both exceed nuclear, China will not be dependent on nuclear for its non-carbon sources of electric power. Still, for a study that seeks “to engage with the political economy of China’s renewable energy transition”, their analysis feels light on politics. The impression isn’t helped by occasional inconsistencies and misspellings of elite figures and institutions. More substantively, there are many energy policies mentioned throughout the monograph. And while this attention is helpful and necessary, the reader might come away with the assumption that these policies had a history of technocratic formulation and effective implementation. Greater attention to the politics of electricity in China – both elite and ground-level – might at least change the texture of the analysis. Or put another way, the book is focused on energy, but has less to say about power. At the central level, it could have illuminated the history of protracted bargaining and conflicts around electricity sector reform, about which I would have expected to read more. At the local level, there are many more questions one might ask: how will provincial-level officials in coal counties adjust to a slowing, innovation-based economy, if this means reskilling an enormous workforce, or dealing with the social consequences of mass unemployment? How do local people feel about huge, land-based renewable-energy installations that generate electricity for faraway cities, and revenue for utilities, but little in terms of local jobs? Furthermore, the top-down focus of the book means it overlooks a number of interesting bottom-up dynamics – not only industrial, but also social – that are shaping China’s energy transition. 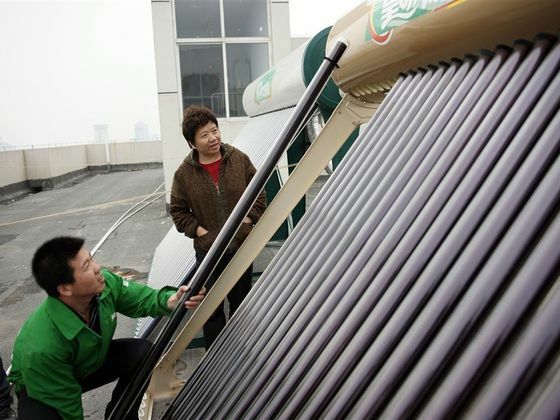 There are, for example, demand-led successes to be found in the widespread uptake of solar-water heaters in China’s rural areas, and electric bicycles using lithium-ion batteries in urban areas. NGOs and socially minded first-adopters of solar PV have driven the implementation of the feed-in tariff, often despite resistance from local grids. 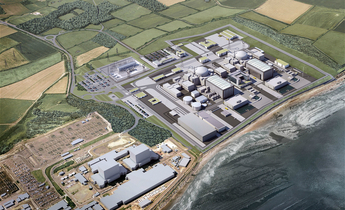 Public anxieties and even protest is likely to shape policy-making around the country’s low-carbon energy choices, particularly where nuclear is concerned. And in some cases, local or municipal governments (such as in Shandong province and, in particular, Dezhou city) seem to have provided crucial support for green innovation, complementing central government R&D programmes. Overall, however, China’s Renewable Energy Revolution is a valuable, concise and up-to-date guide to key aspects of China’s unfolding transition – one that is vital not only for the country but also for the global climate. Its concluding message, for advanced economies looking to counter the competitive threat posed by China’s strong support for low-carbon technologies, is also one that resonated strongly with this reviewer: to abandon trade retaliation, and instead to support similarly aggressive industrial policy that will drive green innovation and market expansion at home. However, the obstacle here again – in the US or UK today, much as it would have been in 16th century Italy – is less the lack of smart policies, than it is the politics.